The Inhumans are a sub-species of homo sapiens that were experiment on at the beginning of the Kree-Skrull war, millions of Earth years ago by the Kree. From an outpost on Uranus they saw sentient life emerging with potential from the Celestials. The Kree hoped that they could discover a way to advance their own growth and create super soldiers to help them fight the Skrulls. The experiments were successful, but a prophecy foretelling that the experiments would eventually lead to one who would kill the Supreme Intelligence ended them. They left a new species of Inhumans on Earth which thrived in seclusion and lead by the Royals. The society grew and became technologically advance. The created a transformation process using the Terrigen Mists that mutated those with the Inhuman genes and gifted them with powers. 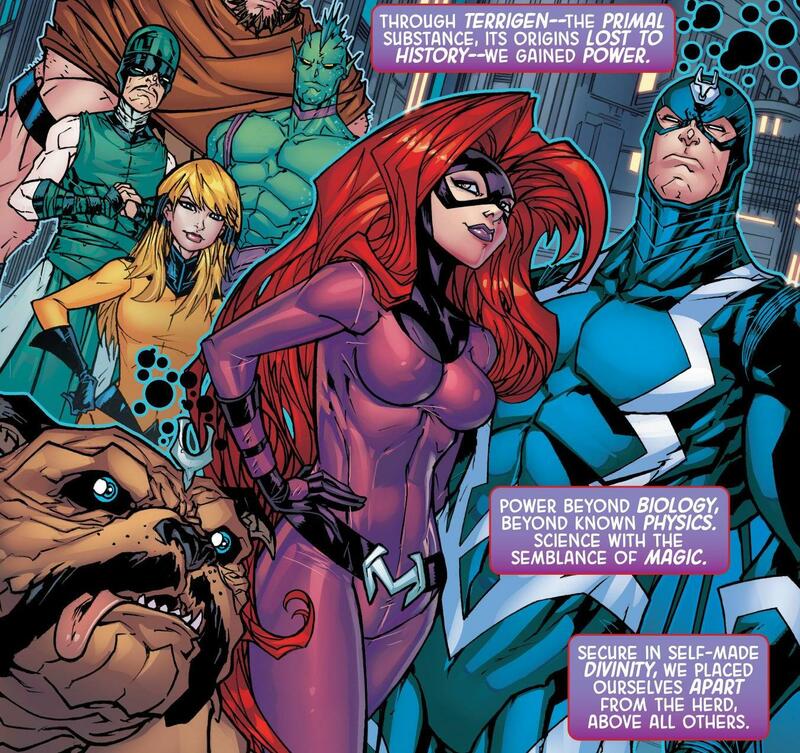 The Terrigensis was intense and had negative side effects on some, so the Inhumans were selective with who was granted the honor of Terrigenesis. The Royal Family ruled the Inhumans and with the aid of the Council of Genetics would determine who would undergo the procedure. Over time the Inhumans emerged from seclusion and became known to the rest of the world, and each time with dire consequences. This put the Inhumans in a pattern of migration and rebuilding their home. When a threat from the Mad Titan, Thanos who was after his son Thane, an Inhuman emerged King Black Bolt used the Terrigen Crystals in a bomb unleashing the Terrigen Mist in form of clouds. 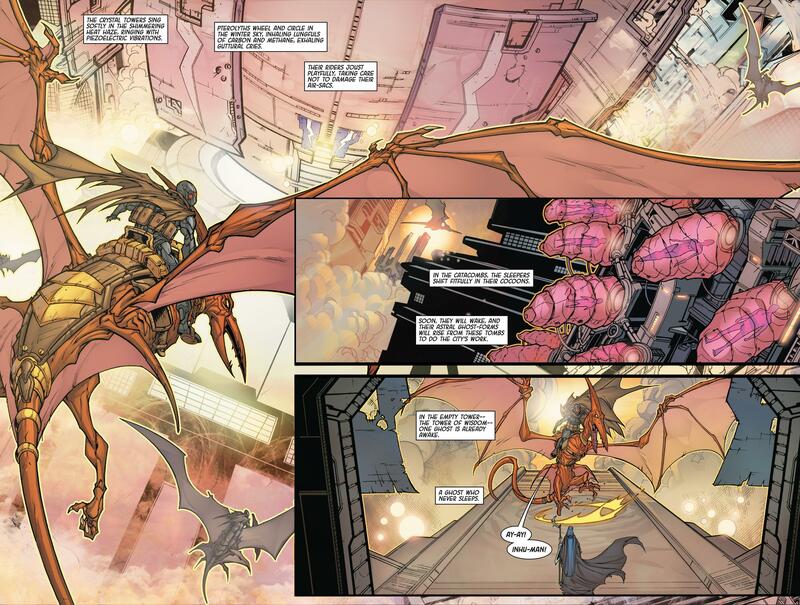 The Terrigen Clouds circled the Earth causing anyone with inhuman DNA to undergo Terrigenesis. The Terrigen Clouds had another effect on Mutants, the natural evolution of homo sapiens that caused them to become sick, sterile and ultimately die. After a war between the Inhumans and the Mutants Queen Medusa decided to sacrifice the future of her people by destroying the Terrigen Clouds to save the mutant race. After this decision Medusa advocated the throne, leaving Iso in charge of a democracy-led Inhuman society knowing this would be the last generation. 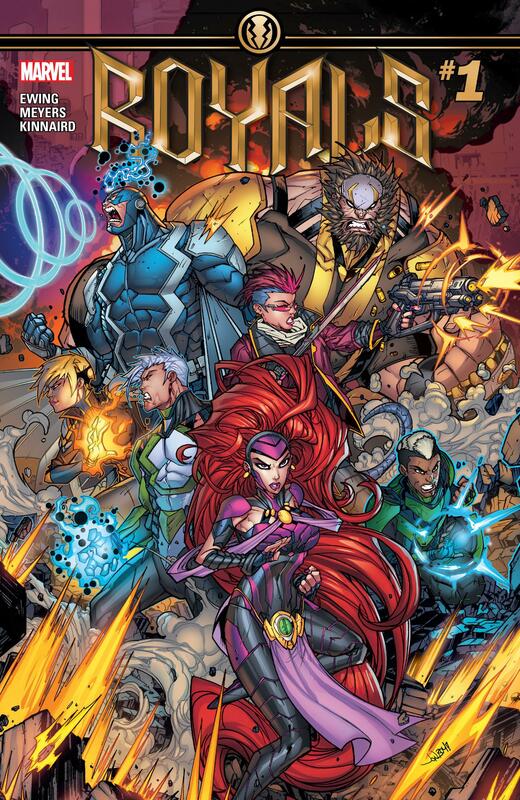 Plot: The Inhumans face the end of life as they have always known it. Noh-Var, the Marvel Boy from another universe offers them a way to save their species. The Royals unite to journey to the stars with Marvel Boy to save their people. 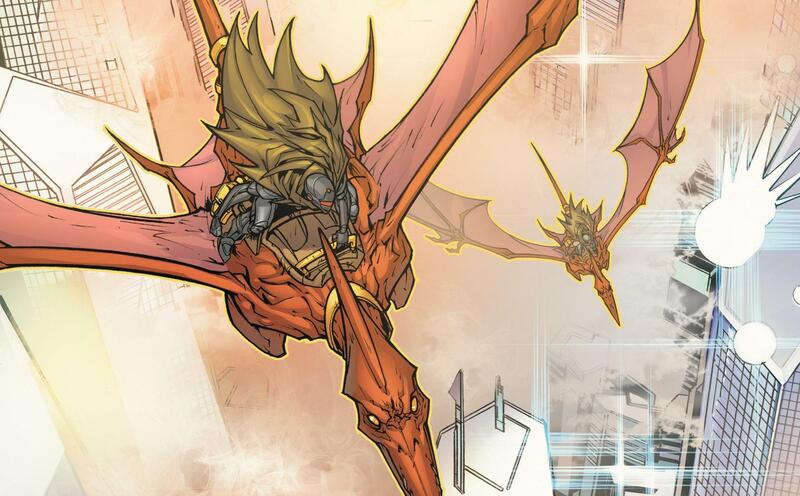 Story: The issue starts off five thousand years from now in Arctilan, a city that seems to be mixture of both old and new as there seem to be skyscrapers, while people are flying on Pterodactyl-like birds. 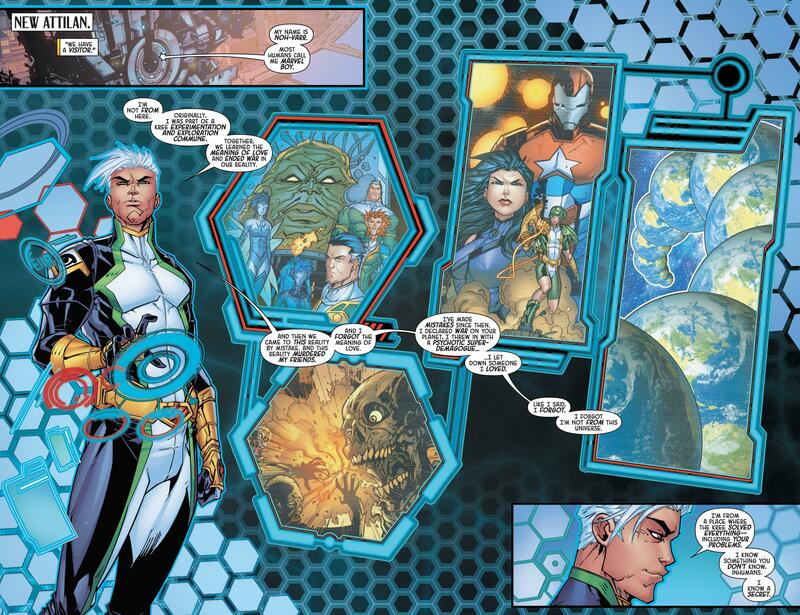 This is something that Al-Ewing is known for, these big epic stories that span time and space. We also see that Black Bolt is the only Inhuman left. The something happens that makes you wonder if this is Black Bolt, because he speaks without causing damage and tells us that seven went on the mission, and only six returned. I really like this set up, we have stakes and danger in this mission that we don’t know about yet. 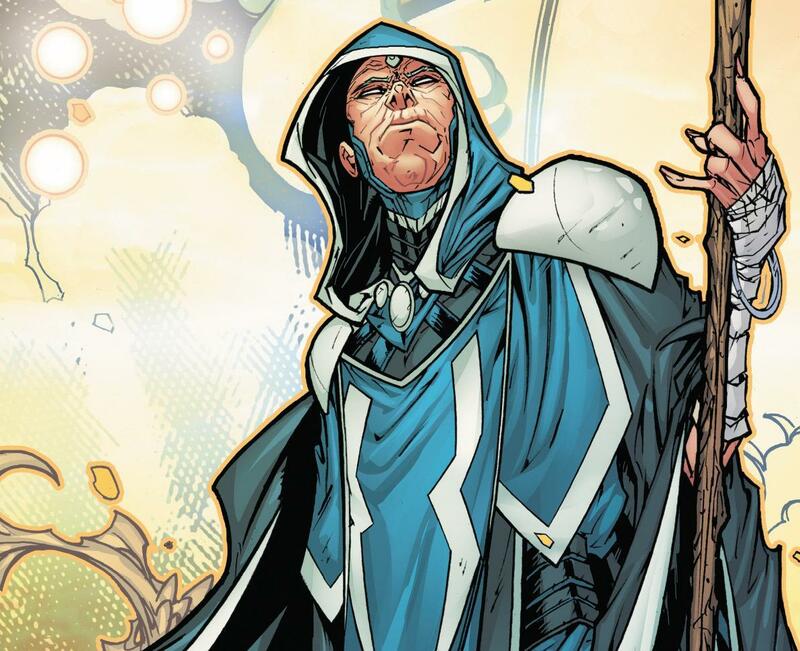 The mission is set up by Noh-Var, who tells the Inhumans Royals and council that he comes from a reality where the Inhumans hope resides on the now destroyed Kree Homeworld Hala. The Royals decide that they must make this journey no matter the consequences because they are responsible for the possible end of the Inhumans. I love a good quest, or journey and this setup has me hoping that this is going to be quite the journey for them. But the best part for me is in the ending. The Royals, Swain, Flint and Marvel Boy are all saying their goodbyes, which includes some emotional scenes between Crystal and her daughter and Gorgon and his son. Noh-Var speaks to the Supreme Intelligence. But the most intriguing thing to me comes in Medusa and Black Bolt, she reaches out to him to tell him something that has been going on with her, he ignores her and walks away. Later on the bridge of the ship as they rocket off to Hala, Medusa runs her fingers through her stronger than steel hair and discovers she is losing it as it breaks off in her fingers. This causes Medusa to speak out loud that she is dying. So many things ran through my mind by the end of this issue. Why is Black Bolt ignoring Medusa? Is he really King Blackagar? Could he be Maximus in disguise? This could explain why Black Bolt is with the Royals but also imprisoned in his solo title. Are the Inhumans not only transformed by the Terigen Mists, but also sustained by it? Is the absence of the Terrigen causing them all to die? I don’t know but Ewing has me intrigued enough to buckle up and go on this journey with the Royals. Art: The art is pretty solid. Jonboy Meyers updates most of the Inhumans and I honestly like them. He gives them a nice more modern version of their costumes. I am not sure of his faces though, they kind of look off at places, especially with Medusa. Now this could be a stylistic choice to show Medusa being sick, but I doubt it. Medusa here, reminds me of the way he drew Starfire in Teen Titans, so I would say it is just his style. The layouts here those are amazing. Meyers really breaks down a page and walks us through each scene with a nice, almost cinematic grace to it. The colors here are nice and bold. The colors really make each character pop and the scenes jump off the page, to not just be read, but to be experienced. Verdict: Overall this was a great setup for series. Right away you are set on this mysterious quest with the Inhumans. Each character has moments here that bring them on this mission, and possibly secrets that will come to light during the journey. This is the most excited I have been for an Inhumans series, probably ever.